How can YOU make one? 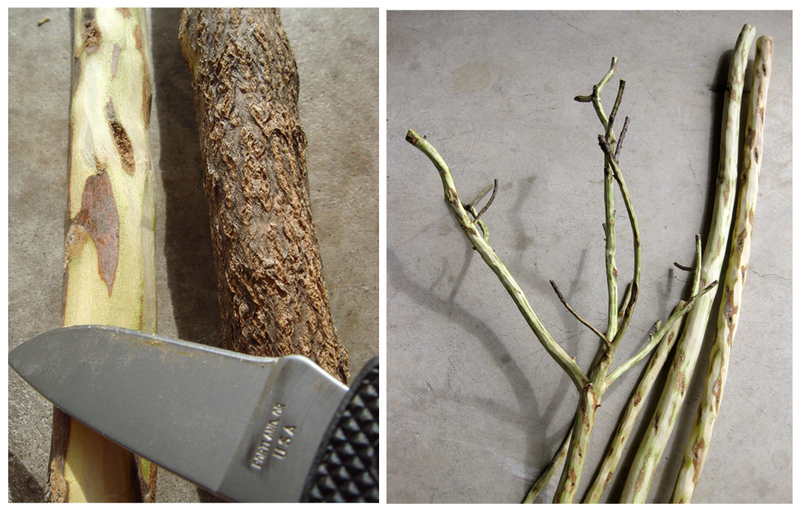 Start by pilfering a few long, straight branches which will form the base of the display, then locate a few spindly ones. The more twists and turns your sprigs sport, the more options for hanging jewels later. 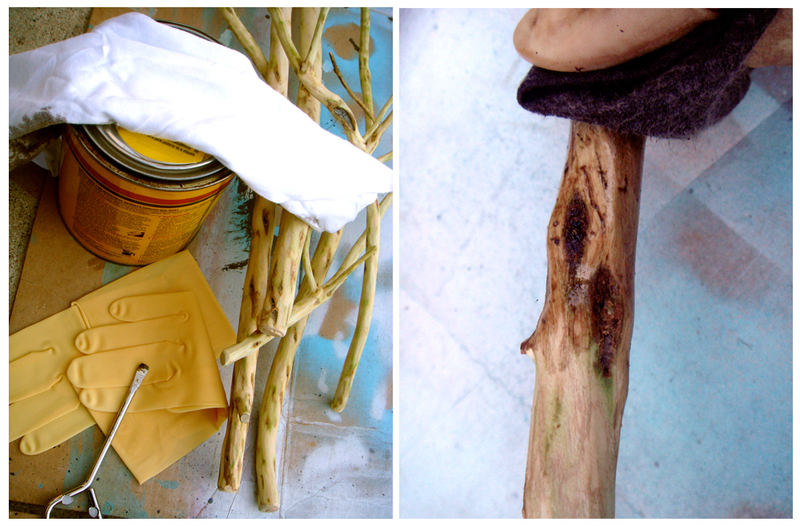 Here, Gadora re-purposed a friend’s discarded sage bush branches. Once a few select pieces were pulled into the shop, it took a few minutes to visually “set” them in place. Keep in mind: twig “fingers” that face up give more secure spots to hang your jewels, and twigs that flow away from the wall allow easy-access to your new creation. While they were pretty naturally, Gadora opted for a cleaner look by removing the bark with a standard utility knife. The pruners made clipping unwanted sprigs a snap. The end of each branch was sanded to make a smooth end cap. Once all limbs were bark-free/knifed sufficiently, Gadora sanded each one* to remove any knife marks, finishing with a smooth surface. *To save time on the larger limb surfaces, Gadora whipped out the handy mouse sander. Sage is a light wood, so as not to channel the great Southwest, Gadora opted for a light stain, which darkened the branches, but only slightly. It’s best to stain the pieces individually rather than wait until the jewelry display is put together. Two coats of stain were applied, and allowed to dry sufficiently between coats. 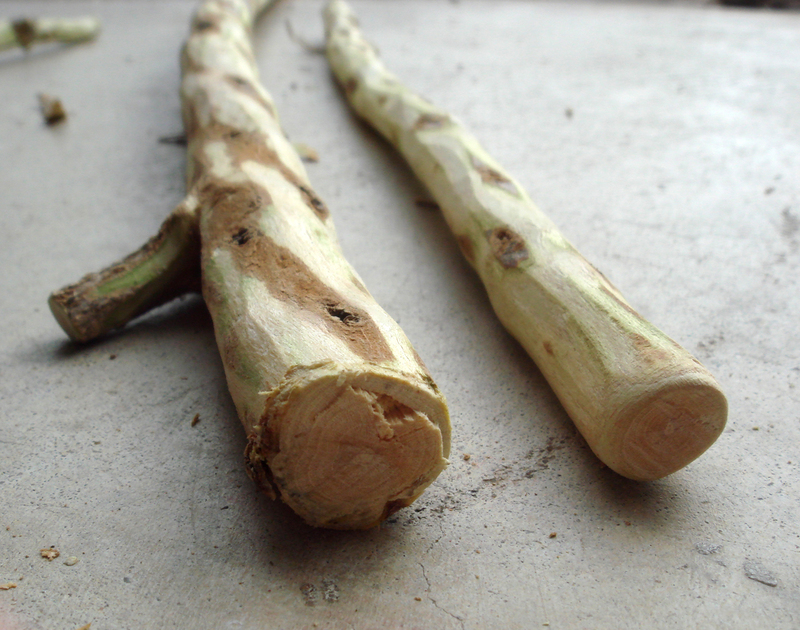 To ensure the horizontal offshoots fit snugly against the vertical base twig, Gadora cut a small notch* into the larger stick… leaving just enough room to snug the pieces together. *Time saver: if handy, a Dremel tool quickly sands notches into the vertical stick. 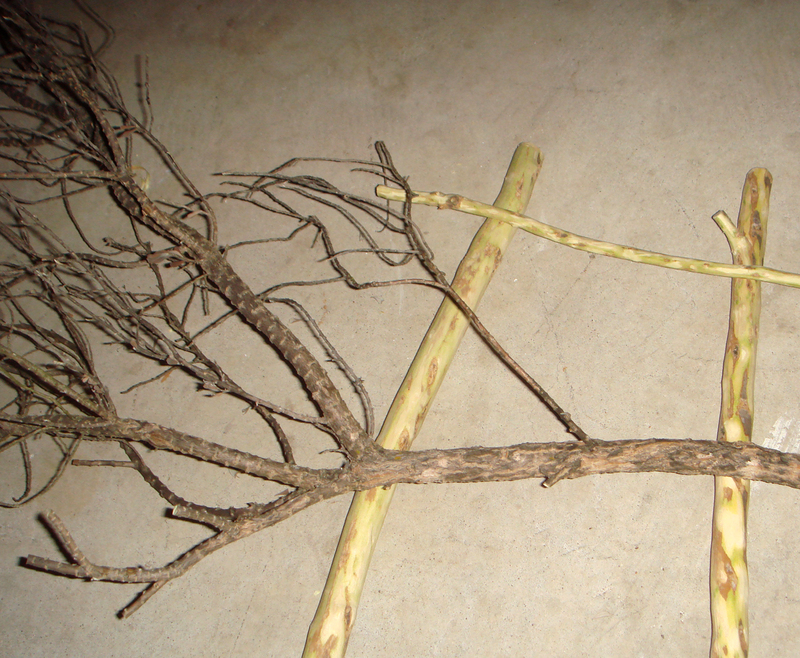 Once certain the sticks would nestle into one another, Gadora used a dollop of wood glue to adhere the pieces together. Tiny plastic clamps secured each to one another as the glue was allowed to dry overnight. Working from the bottom up, Gadora wound copper wire around each glued “joint” to add security and visual interest. (Key to making it pretty: work your wire magic on two separate twigs, practicing the best way to wrap the wire around your branches). A wire “O” ring hook was fastened to the upper-most twig “joint” to hang the new masterpiece from. The finished piece is both simple, and smart. Hang jewels at arm’s reach. Total cost: $0… that is… if you already have a well-equipped shop of left-over stain, wire remnants and sand paper. 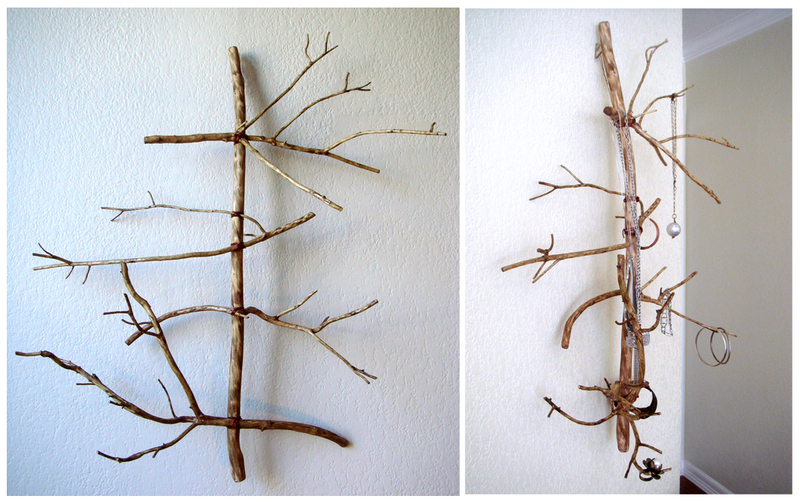 Time it takes: Finding branches and twigs and playing with how they’ll eventually sit together, 1-2 hours. Stripping twigs of bark, 1 hour. Sanding branches, 20 minutes. Cutting notches into horizontal limb, 30 min. 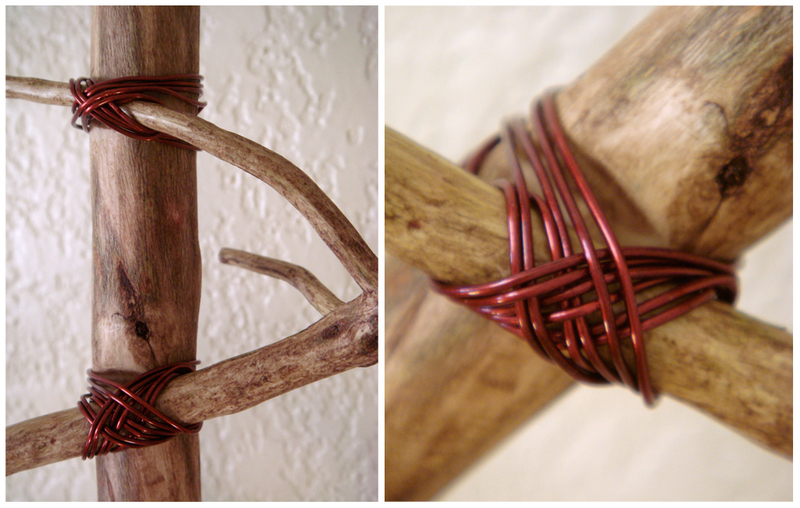 Staining twigs, 30 minutes. 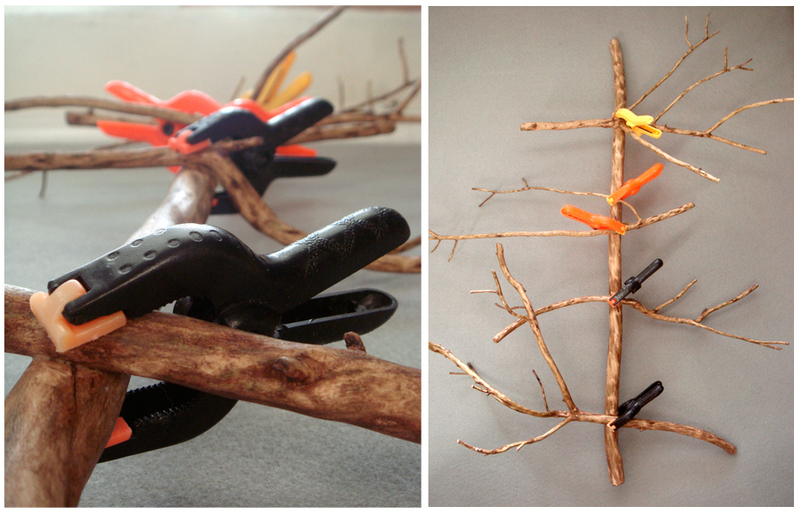 Gluing and clamping branches together, 20 minutes, but let dry over night. Wiring the pieces together, 1 hour. 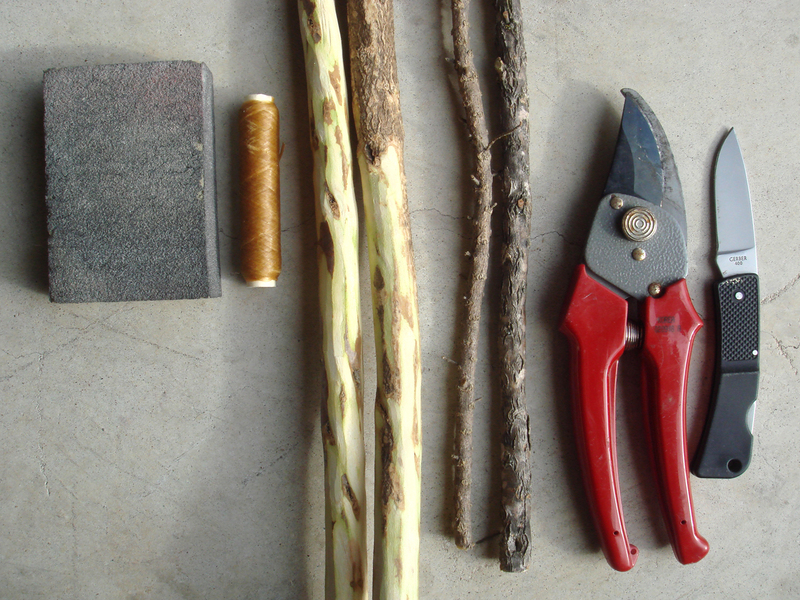 Supplies: 1 long straight branch, several smaller spindly branches, hand-held pruners, utility knife, sand paper, stain, copper wire/sinew (pictured), clamps, wood glue. Apartment Therapy ~ Round-up of branches in the bedroom. 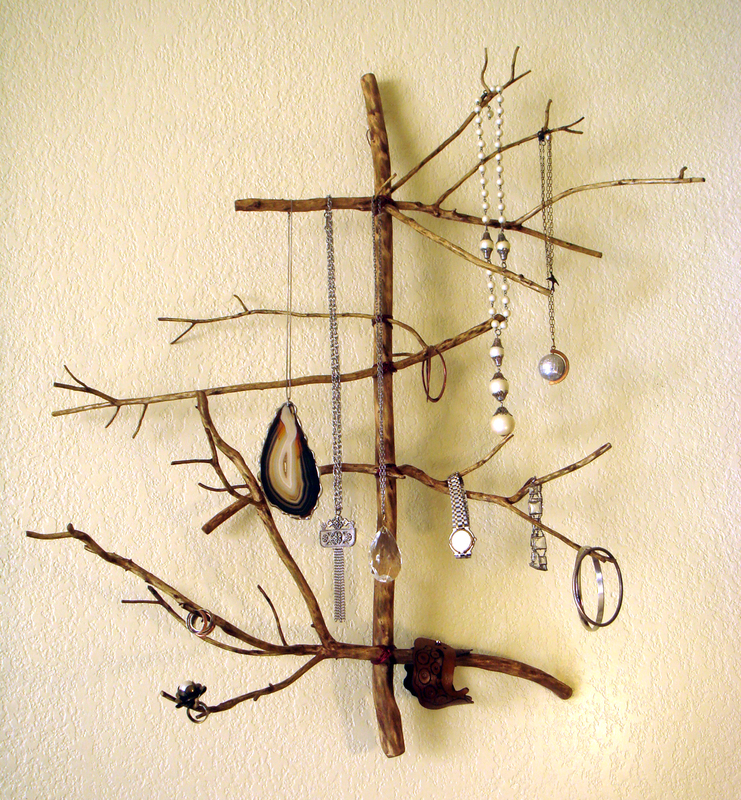 Posted on May 5, 2010 November 7, 2012 by gadorawilderPosted in Do-it-YourselfTagged do-it-yourself jewelry display, jewelry, jewelry display, Sage, twig and berries, twig jewelry display. 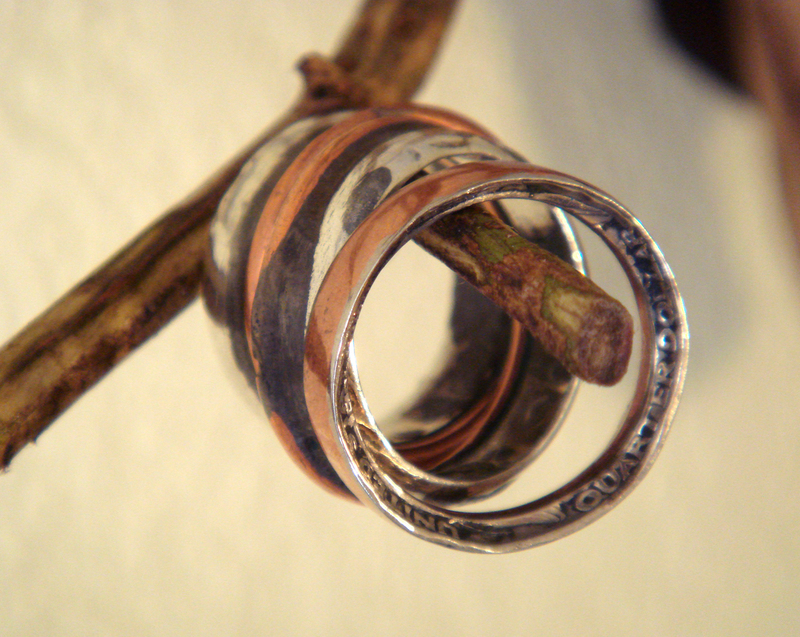 Next Next post: Twig jewelry display on Apartment Therapy. Pingback: What can I do to decorate my room? A simple but beautiful idea. Might give this a try myself. Very cool and much nicer than anything that could be brought at store! You should craft more and sell. I need one for earrings – yours is far better solution than what I was crafting. Are you selling these anywhere? Hi. I’ve posted this one on Gadora Wilder’s Etsy page… it’s a one-of-a-kind. I’m happy to work with you on another shape, different bark… just let me know. I don’t know that I have the craftiness to do it myself… but, LOVE IT! CONGRATS! On the AT posting – your creativity constantly amazes. Go, girl!